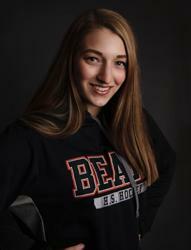 Calla Frank of White Bear Lake Area High School has been named the 2019 Let’s Play Hockey Senior Goalie of the Year, the newspaper announced today at the annual Ms. Hockey Awards Banquet. The award is presented annually to the top senior goalie in Minnesota girls’ high school hockey. 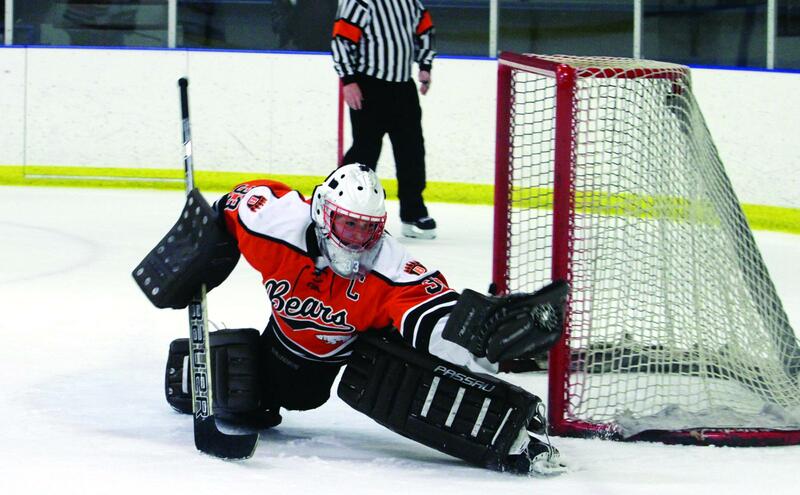 A mainstay in the White Bear Lake net for five seasons, Calla Frank was the goalie of record for nearly 80 percent of games since the beginning of her eighth-grade year. Frank compiled a career record of 60-45-7 with 21 shutouts, ranking first in school history in both wins and shutouts. This season, she posted 13-14-3 overall record with a 2.01 goals-against average, a .944 save percentage and four shutouts. Frank faced the fifth-most shots in the state during the regular season (887) and made 30 more saves in 18 games on the year, including a 56-save effort in a 3-2 win over Stillwater on Dec. 15. Despite the number of shots faced, she allowed two or fewer goals in 19 games on the season. A member of the gold medal-winning U.S. Women’s National Under-18 Team at the 2018 IIHF World U18 Championship, Frank will continue her hockey career at Minnesota State in the fall. Off the ice, Frank owns a 3.8 GPA and has been an avid volunteer with a number of organizations, including Toys for Tots, Adopt a Family and the local youth hockey association. The Senior Goalie of the Year Award is based on nominations from high school coaches and is selected based on votes from a panel of high school coaches and Division I and III women’s college coaches. The award is based on the following criteria: academics, community/ extracurricular activities, citizenship, coachability and, of course, on-ice performance. The other finalists for the award were Quinn Kuntz of Warroad, Lucy Morgan of Maple Grove, Makayla Pahl of Rochester Mayo and Taylor Smith of Mound Westonka. This is the 21st year of the LPH Goalie of the Year award. Previous winners: Alexa Dobchuk of Eden Prairie (2018), Breanna Blesi of Maple Grove (2017), Jenna Brenneman of Breck (2016), Frances Marshall of Thief River Falls (2015), Erin O’Neil of Hopkins (2014), Sydney Rossman of Minnetonka (2013), Erika Allen of Roseville (2012), Julie Friend of Minnetonka (2011), Kallie Billadeau of Hopkins (2010) Laura Bellamy of Duluth (2009), Alyssa Grogan of Eagan (2008), Ashley Nixon of Blaine (2007), Alannah McCready of Centennial (2006), Johanna Ellison of Cloquet/Esko/Carlton (2005), Emily Brookshaw of Hill-Murray (2004), Robin Doepke of Chaska (2003), Amber Hasbargen of Warroad (2002), Jody Horak of Blaine (2001), Shari Vogt of River Lakes (2000) and Katie Beauduy of Blaine (1999). 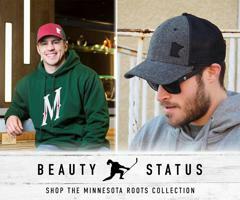 The award is sponsored by Let’s Play Hockey, the Minnesota Wild, GoodWood Hockey and OS Hockey.